I found some creative homemade teacher appreciation gifts to make from some of my favorite bloggers. Often, just a small thoughtful gesture of appreciation can make a world of difference to a teacher. “Thanks for Making Us Smarties!” Teacher Appreciation Gift by B-Inspired Mama! If you are not the crafty type, I can also tell you that a small gift card from Target, Walmart or an office supply store will also be appreciated. 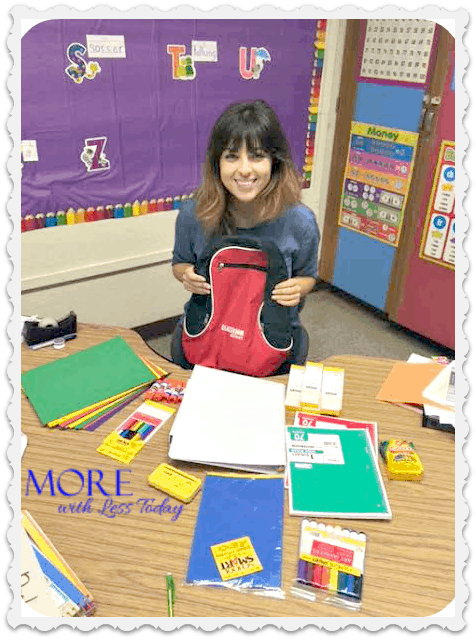 According to a recent study, teachers spent an average of $398 out of their own pocket on supplies for the classroom. When you see those penny deals on school supplies this summer, pick up a few extras and give them to the teacher during the school year as supplies get depleted. I am the daughter of a teacher and now the proud mother of a teacher and I know firsthand how challenging the days can be. 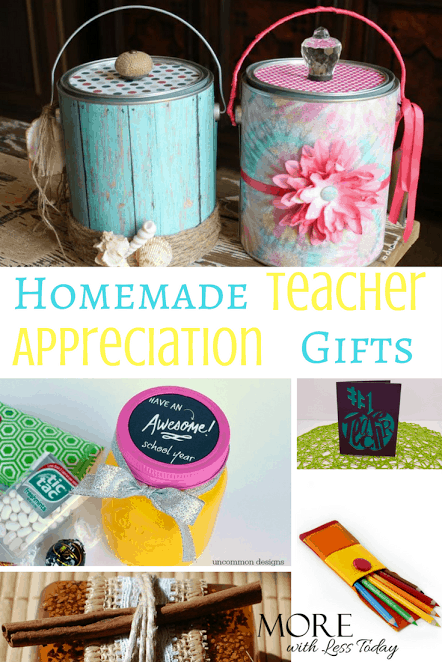 Do you have any homemade teacher appreciation gifts to share with us? Cute ideas! I love the “Stick on You” glue basket. And thanks for including our Smarties Gift! What great gift ideas for those who could use a little thank you. I love the orange themed gift. So fun! Like some of these ideas for my son’s teachers. However, I was wondering if anyone had any good ideas for MALE M.S. teachers. My son has 3 that I would love to give a token gift. They are all married, with kids. Other than that, I know nothing about them. Anyone? guy gifts are tough for sure! My teacher daughter always loves a gift card from Target. I’m sure most guys could find something they like!